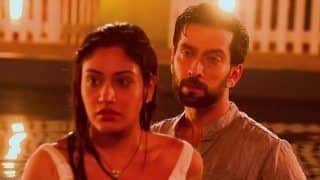 Ishqbaaz 23 June 2017 Written Update of Full Episode: Will Rudra and Bhavya fall in love with each other? 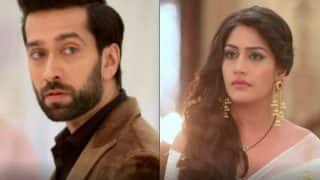 In Ishqbaaz 23 June 2017 episode we see that the whole Oberoi family watches the news telecast which says that Shivaay Singh Oberoi is having an affair just after 3 months of his divorce. Pinky asks Shivaay to call the reporters and get back at them but Shivaay says that he would prefer not to react to anything. 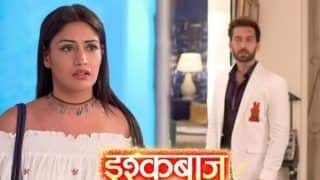 She tries to tell Shivaay that it is Ragini’s engagement tomorrow and if her fiance will look at this news telecast, he will get angry with Ragini. 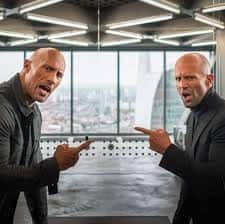 Shivaay answers very rudely to Pinky and leaves. Pinky wonders why he behaves this way. She feels that her Shivaay has lost himself somewhere and the one who lives with them is a heartless man. Dadi Maa tells her that Shivaay is angry with himself and he is not able to overcome what Anika did to him. Meanwhile Ragini calls the media and tells them that she wants her and Shivaay’s picture to circulate everywhere in the social media. She says that she doesn’t want anything else to be in the news for the next few days. 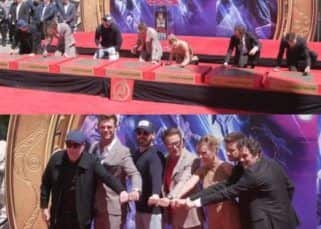 After putting the call down, she starts to hurt herself with a hammer. Meanwhile Kamini burns herself with an iron and blames it on Priyanka. Ranveer starts to yell at Priyanka for leaving the iron switched on. Priyanka tries to convince Ranveer again and again that she didn’t use the iron but Ranveer doesn’t understand. 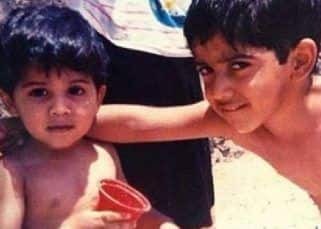 He asks Priyanka to get habitual to doing the household work. Bhavya thinks the there must be something important hidden in Rudra’s locket. She starts to search his entire wardrobe to find the same locket which Rudra was wearing in the party that day. As she searches his wardrobe, Rudra suddenly comes and asks her what she is looking for. Bhavya makes a stupid excuse that she was looking for water in the cupboard. She tells Rudra that she thought that it was a fridge instead of a cupboard. She says that her vision is blurred and she can’t see clearly. When Rudra asks Bhavya what happened at the party that day, she tells him that she got kidnapped by Sultan. She hides the truth that the kidnappers kept interrogating her about Rudra’s locket. She hides her identity too and doesn’t tell Rudra that she is a cop. In the Oberoi house Pinky asks Rudra to call Ragini and see if she is alright. 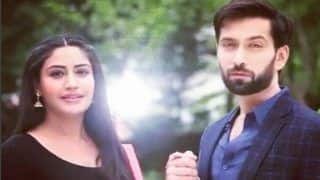 Before he could call her, Ragini’s servant calls Shivaay and tells him that Ragini and her fiance had an argument where he got physically abusive with her. Shivaay asks him to call the police and his ‘not bothered’ attitude makes Ragini angry. 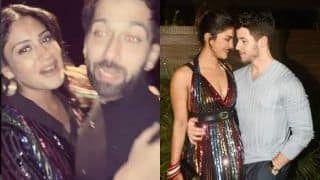 Ishqbaaz Plot Twist: Shivaay aka Nakuul Mehta is Now a Detective. What's Anika Doing? 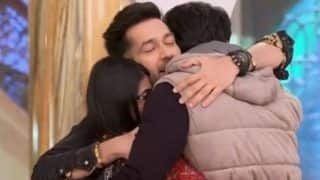 Ishqbaaz 3 July 2018 Full Episode Written Update: Priyanka Gets Emotional Post Roka, Anika Recognises Daksh? 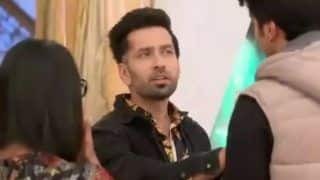 Ishqbaaz 31 May 3018 Full Episode Written Update: Will Anika Succeed in Trapping Abhimanyu?